Spreader grafts are rectangular sculpted pieces of cartilage placed between the upper lateral cartilages and septum. They serve to widen the internal nasal valve, widen the middle vault, and prevent collapse of flail upper lateral cartilages. Also, they can provide additional support to the dorsum. Do you get confused by all the different types of nose grafts that are mentioned? Wonder where do they go, and how do they work? I'm not referring to where the source of origin for harvesting are, like ear, septal, costal, calvarial, in cases of autologous grafts, but referring to the actual names of the grafts relative to its location in the nose. 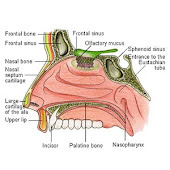 For example: Columellar strut is a hidden graft within the columella that strengthens and supports the nasal tip. 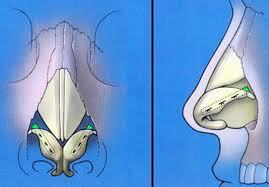 Spreader graft is another hidden graft, which is used to correct internal nasal valve collapse. A graft is simply a piece of bone, cartilage, or soft tissue that is used for some purpose (i.e. structural support) in rhinoplasty. Each graft has a specific purpose. There are tip grafts, batten grafts, strut grafts, dorsal augmentation grafts, rim grafts, lateral crural grafts, plumping grafts, caudal extension grafts, radix grafts, onlay grafts, shield grafts, etc. Enough to get anyone confused and left scratching their head. Well here are some links that will help unravel this mystery. Grafts go by many names relating to their shape, size &/or locality in the nose. 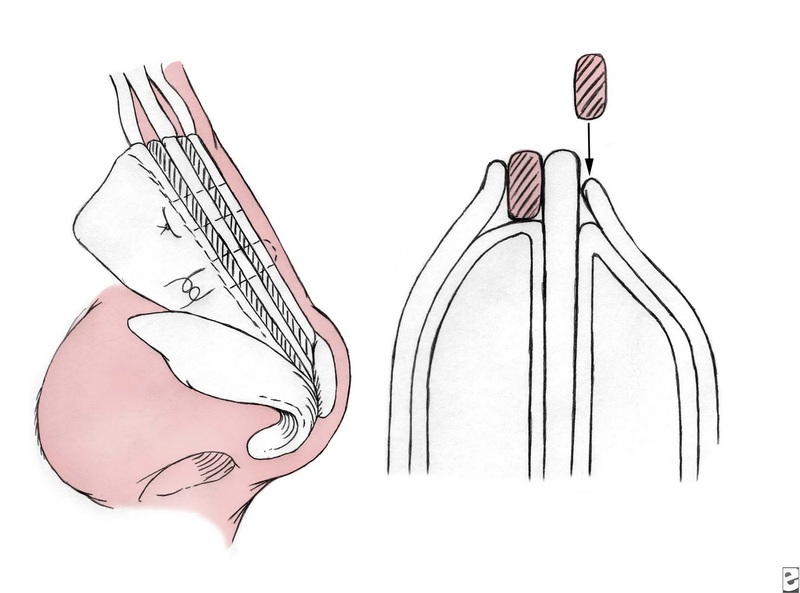 A shield graft relates to the shape of the graft in the nasal tip lobule.. An "alar" batten graft relates more specifically to locality, but Alar batten grafts can be placed at slightly different degree's and angles. If any of the above links are broken, please don't hesitate to let me know. The "Butterfly Graft" is a functional nasal procedure that Dr. J. Madison Clark has helped to develop and refine. Dr. Clark teaches the procedure to other nasal surgeons locally, regionally, and nationally. The simplest way to describe the procedure is as an internal "Breathe-Right" strip. The graft is taken from the ear but doesn't change the shape of the ear appreciably. It is usually intended that the graft not change the appearance of the nose, but it can be performed along with procedures that improve the aesthetic appearance of the nose (rhinoplasty). The procedure is usually done under general anesthesia and takes about an hour to an hour and a half. * This is specifically used for more serious cases to create new lower lateral cartilages. The seagull wing technique is indicated in cases in which there are severe signs of overresection of the lower lateral cartilages. We describe our 20-year experience with the seagull wing technique, which is designed to replace the lower lateral cartilages and to reconstruct the nasal tip. This technique has the advantages of almost completely rebuilding the structure of the nasal tip, restoring the function of the external nasal valve, and effectively correcting a great variety of aesthetic deformities. Anil R. Shah, M.D. and Philip J. Miller, M.D. The marriage of endonasal rhinoplasty with structural grafting has resulted in more consistent rhinoplasty results. 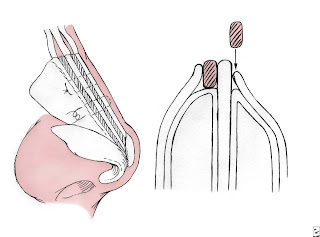 The nasal base can be stabilized by tongue-in-groove techniques, a columellar strut, or extended columellar strut. The middle vault can be addressed with spreader grafts or butterfly grafts. Lower lateral cartilage weakness can be supported with alar batten grafts or repositioning of the lower lateral cartilages. What's the difference between Lateral crural strut grafts and Alar strut grafts? Alar strut grafts and Lateral crural strut grafts are same thing. “Lateral Crural Strut Grafts” is the more precise terminology to describe this underlay graft. A lateral crural strut graft goes beneath the lateral crus to flatten it and/or to support it, preventing or correcting external valve collapse. 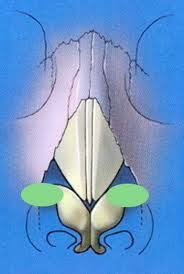 Conchal cartilage is not strong enough to effectively support the lateral crus and is best not used for this.